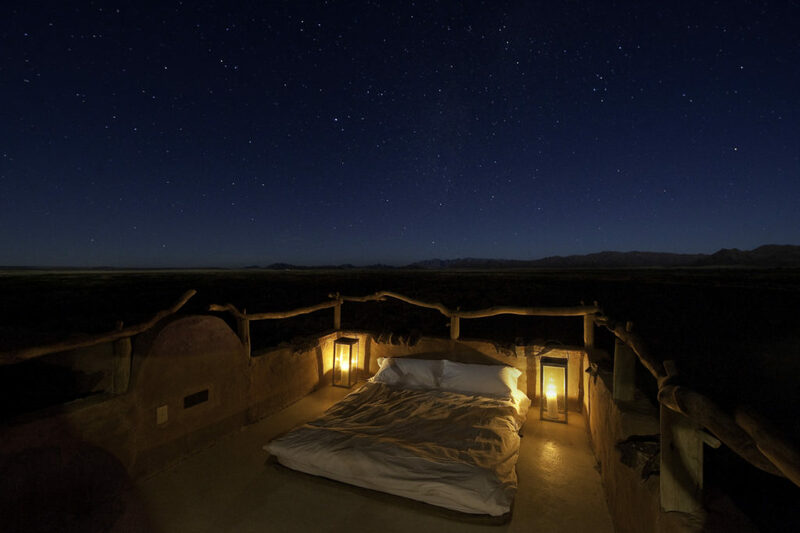 A safari in Africa never ceases to amaze travellers and one of the many things that stands out from this wild and wonderful experience is the magnificent night skies. 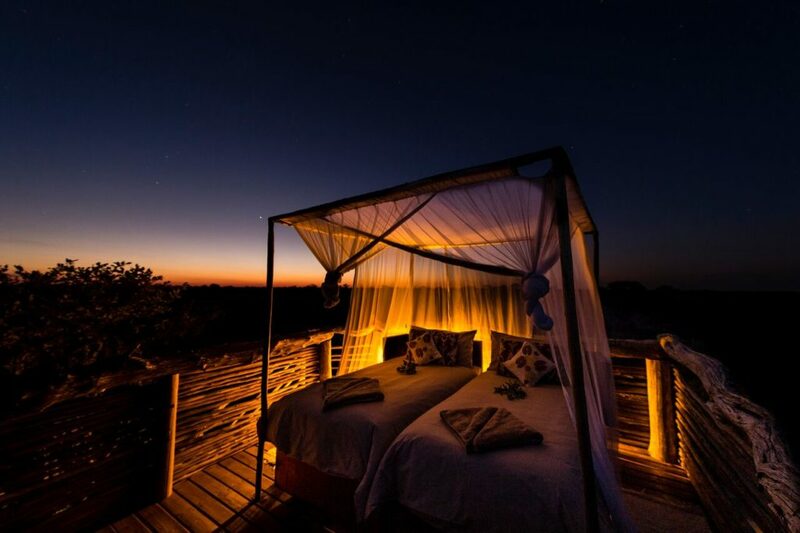 The best way to experience these magical starry night skies, is to sleep outside. However, that doesn’t mean that you have to ‘rough it’ in a sleeping bag on the ground to get a glimpse of the night skies. 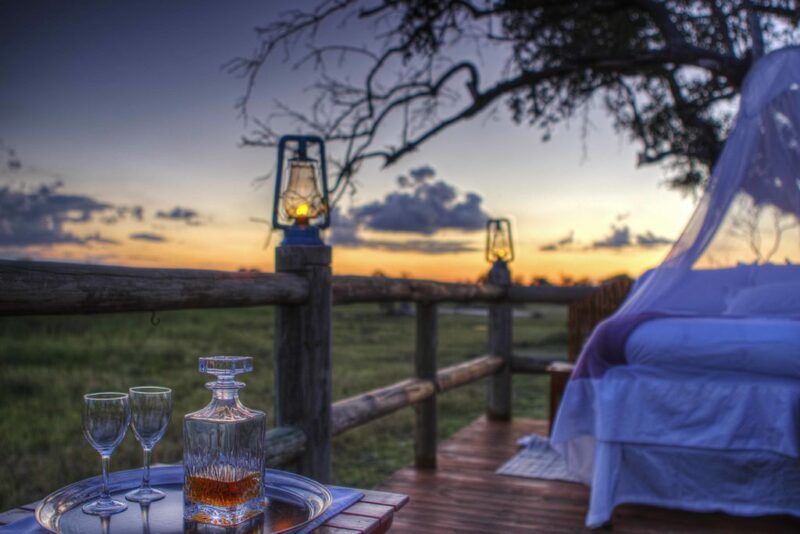 Some safari lodges offer a luxurious experience where you can spend the night at their ‘sleep-outs’ or ‘star beds’. These unique accommodation options allow you to really immerse yourself in the experience, while still enjoying all the creature comforts one could ask for. 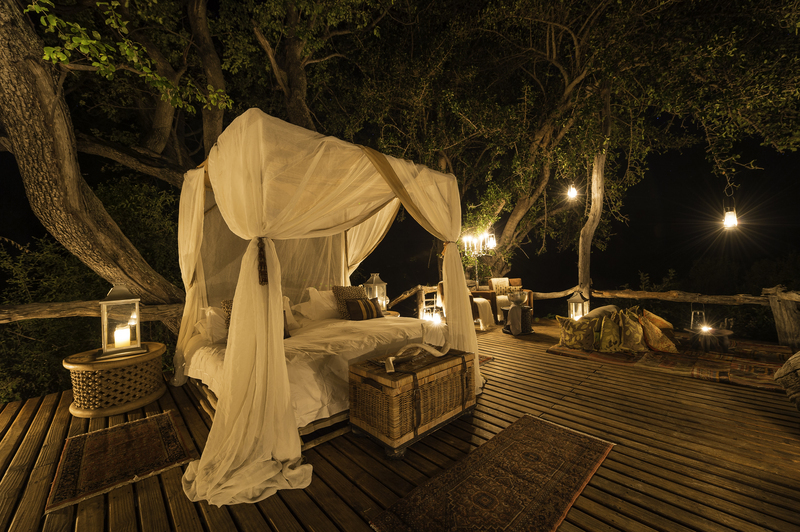 Think four-poster beds draped with flowing mosquito nets, lantern-lit paths, and front-row seats to nature’s nightly starry splendour. 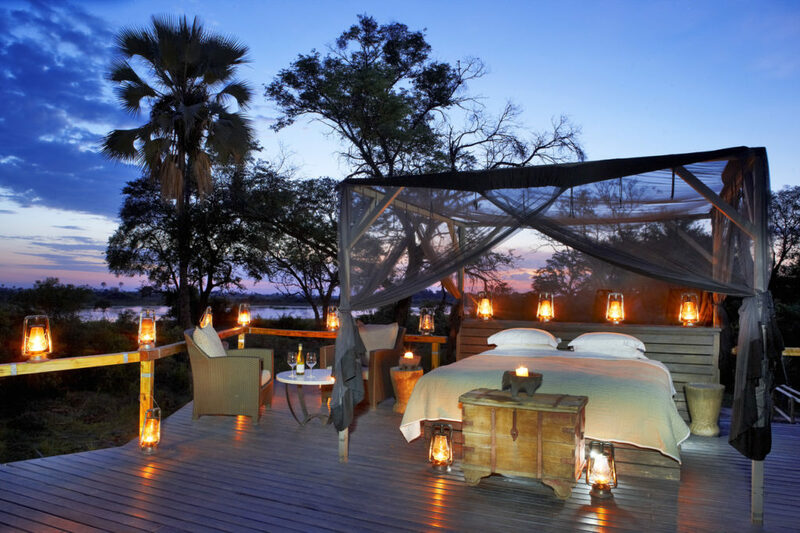 Ker & Downey Kanana Camp is a hidden jewel located in the southwest of the Okavango Delta. 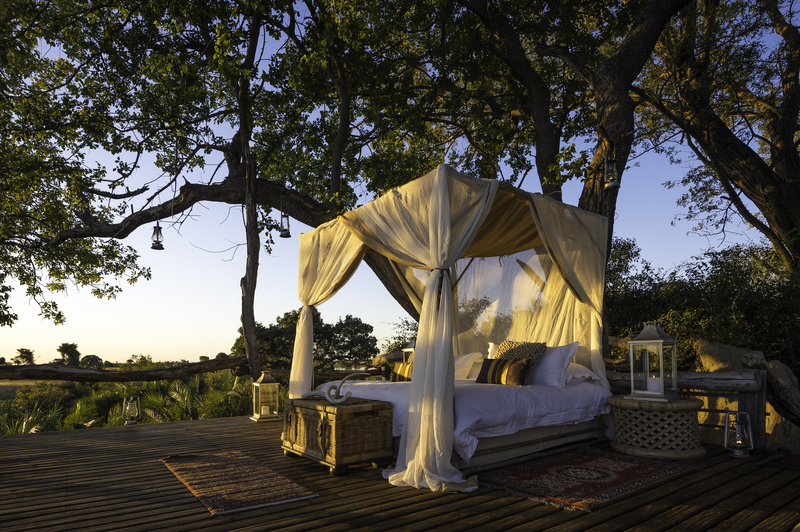 The Sleep Out Deck at Kanana overlooks an expansive water hole and is a mere 20 minutes’ drive from camp. 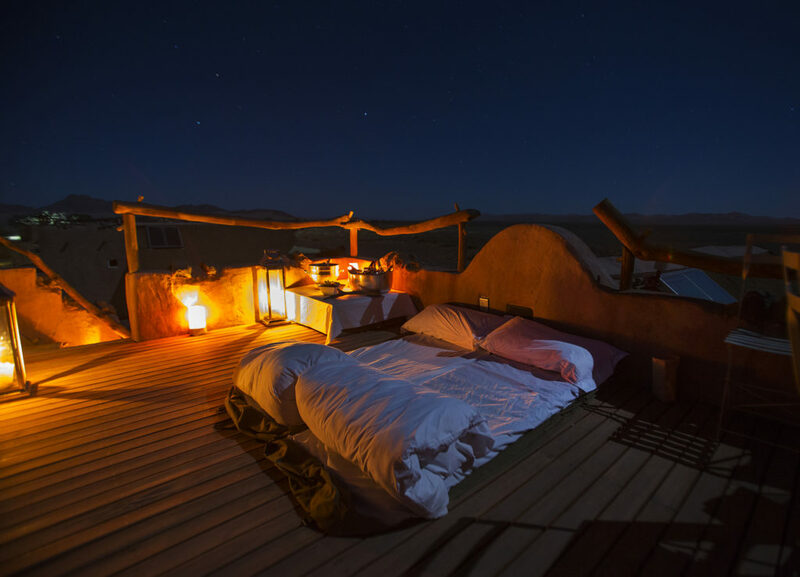 Wilderness Safaris Little Kulala is a luxurious desert retreat in Sossusvlei, Namibia. Each of the 11 thatched “kulalas” (the word means ‘to sleep’) boasts a rooftop star bed. 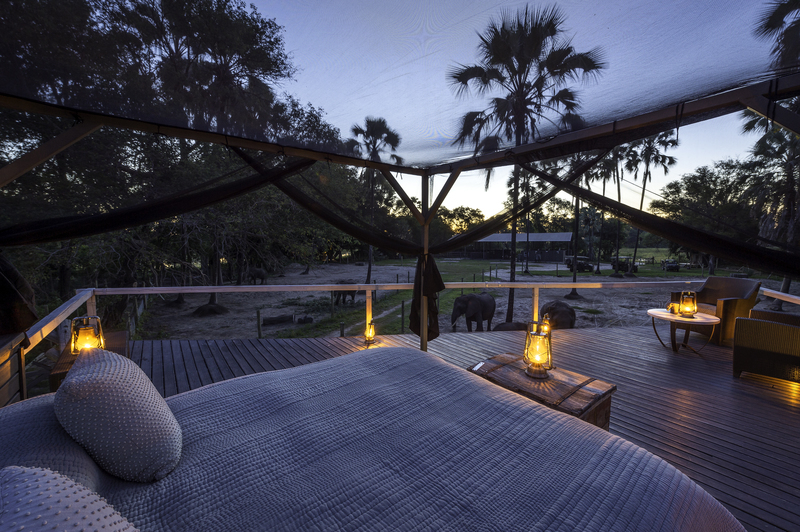 Wilderness Safaris Abu Camp is located in the private Abu concession in the heart of the Okavango Delta, featuring 6 luxury tents with a private viewing deck overlooking the lagoon. 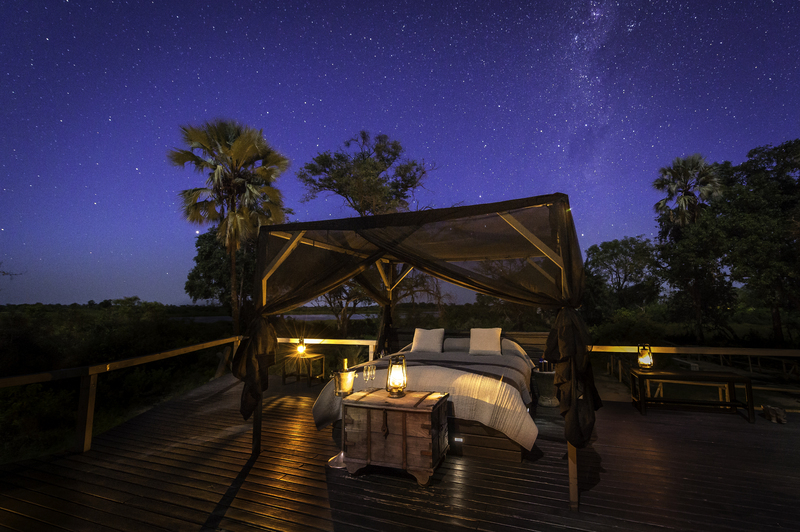 Sleep under the stars in their Star Bed near the elephant boma and be lulled to sleep by elephant rumblings from the nearby resting herd. 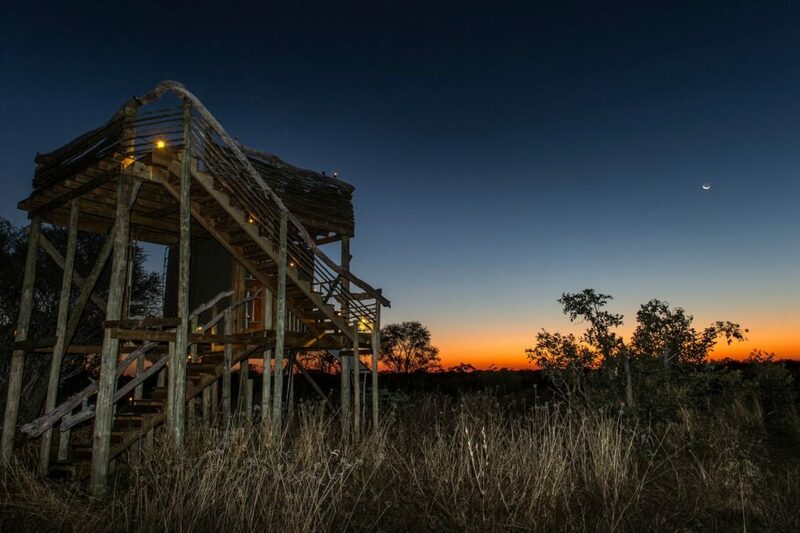 Wilderness Safaris Jao Camp is located in the heart of the Okavango. A raised hide located about 20 minutes from camp can be used for sleep-outs for a maximum of two people on a queen-size bed with a large mosquito net. Hyena Pan is a tranquil tented camp in private concession on the northern boundary of Moremi Game Reserve in the Khwai area. 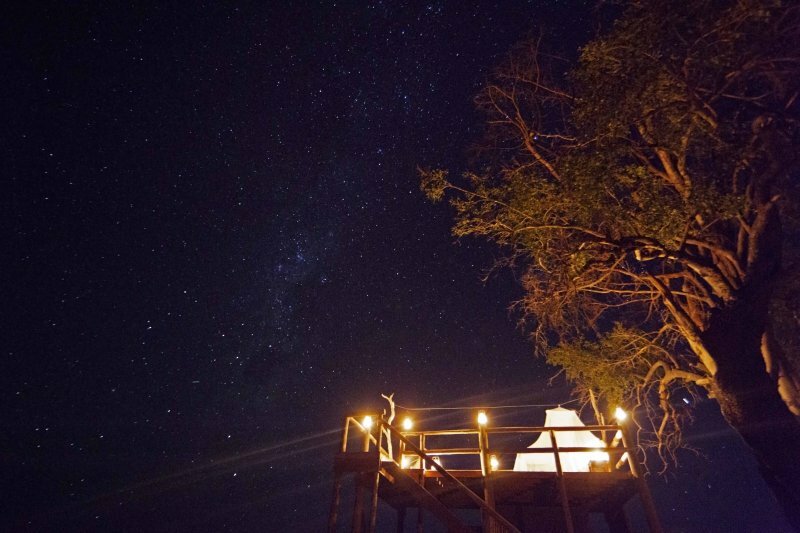 This camp offers guests a truly unforgettable night in one of its sky beds located well away from camp. 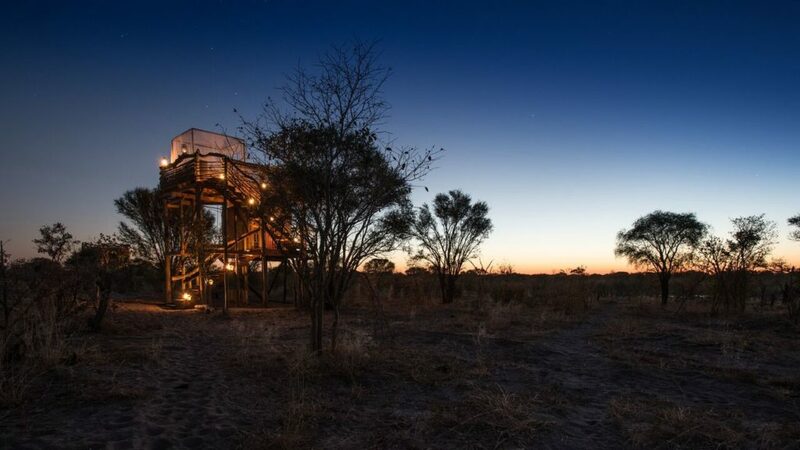 The 5 elevated sky beds overlook an active, well-frequented waterhole that sit five metres (15 feet) above the ground and consist of two levels: a bathroom on the lower floor and a bedroom under the stars on the upper deck with views over the waterhole. Star beds need to be pre-booked and availability is limited. Contact us to check availability for this unforgettable safari experience.